It's easy to get free high-speed Internet access -- if you have a laptop and a willingness to travel. 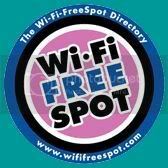 WiFi Free Spot is a directory of public hotspots for wireless internet access. It's organized by state, and lists only those spots that provide Internet access at no charge. How do you get online when you're broke?